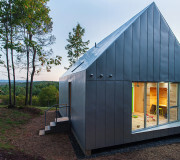 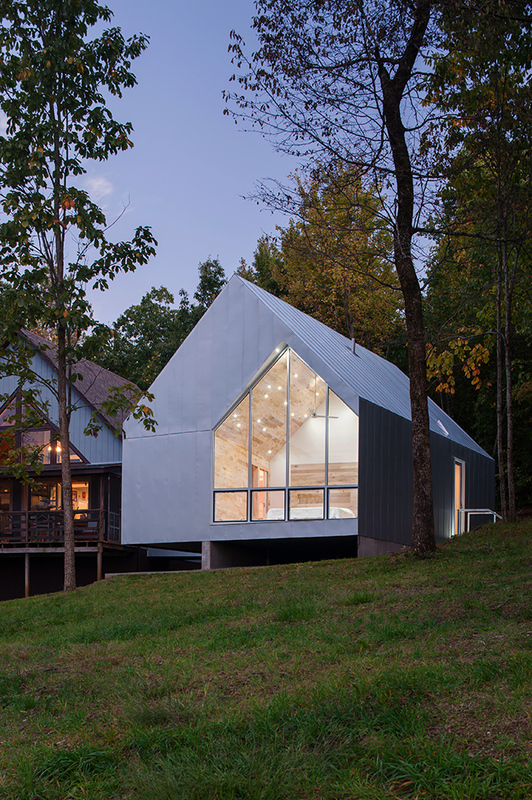 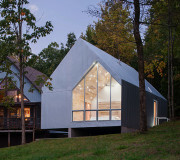 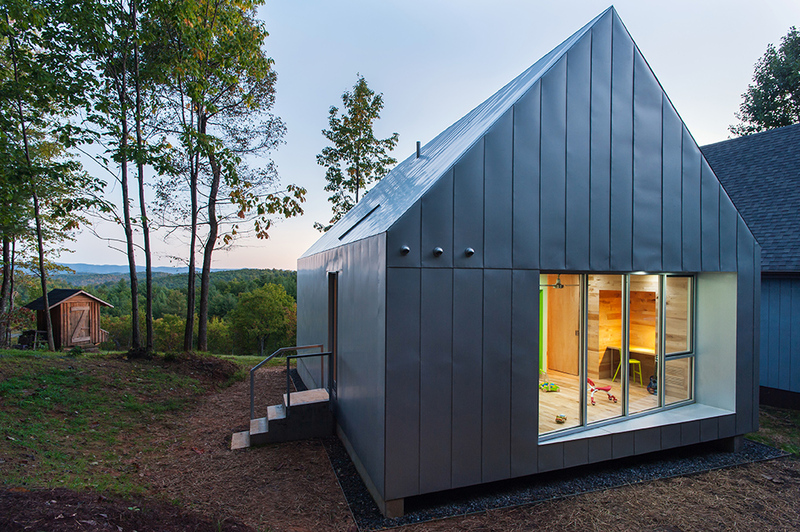 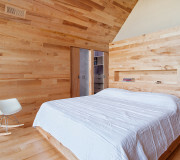 Foley Ridge Cabin is a bedroom addition to an archetypal single-room dwelling. 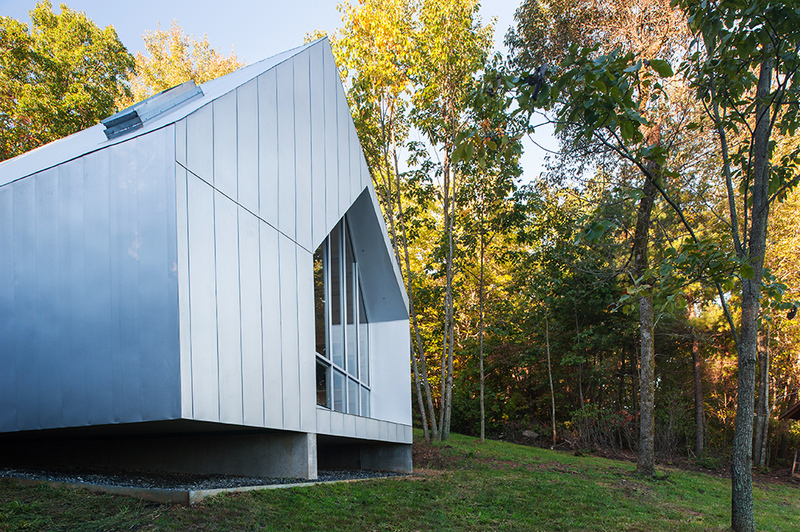 The project is located in a pristine natural landscape, accessible by a rugged dirt trail and situated on a steeply sloped clearing with a long view to Blue Ridge Mountains. 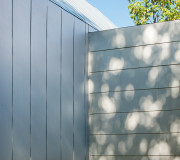 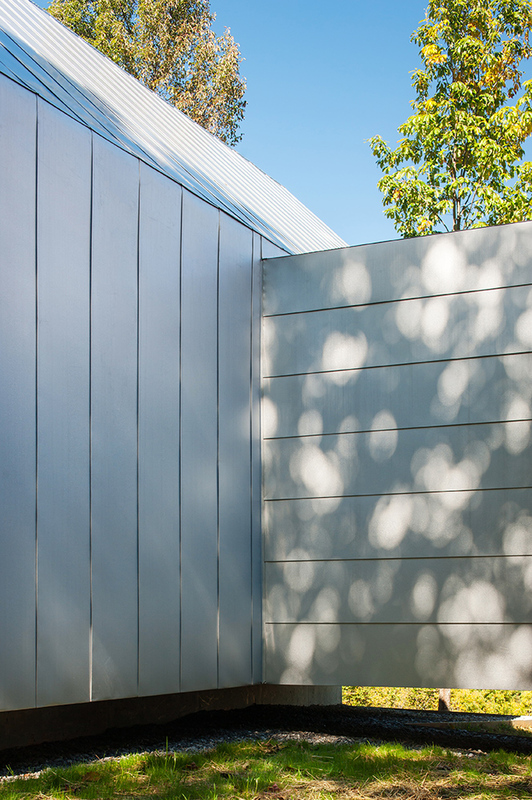 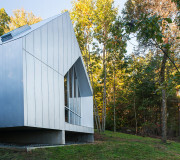 The building is conceived as a galvanized steel monolith elevated on two concrete walls. 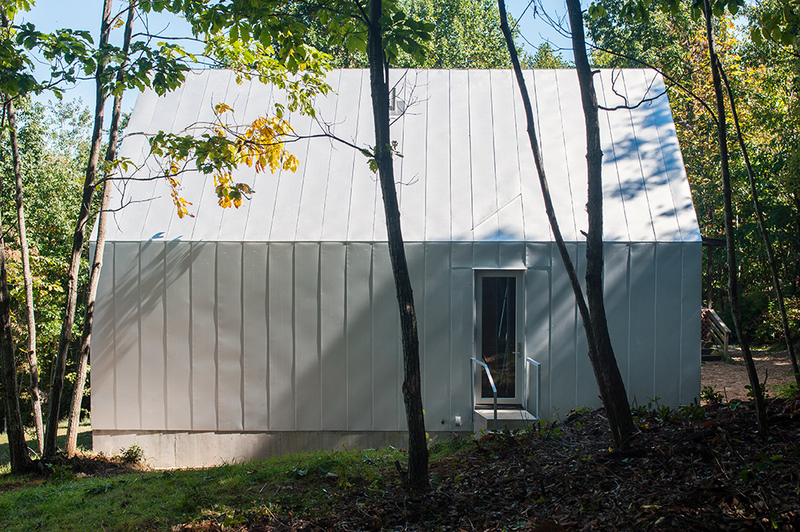 It is oriented perpendicular to the fall of the land, thereby maintaining natural drainage patterns and minimizing site disruption. 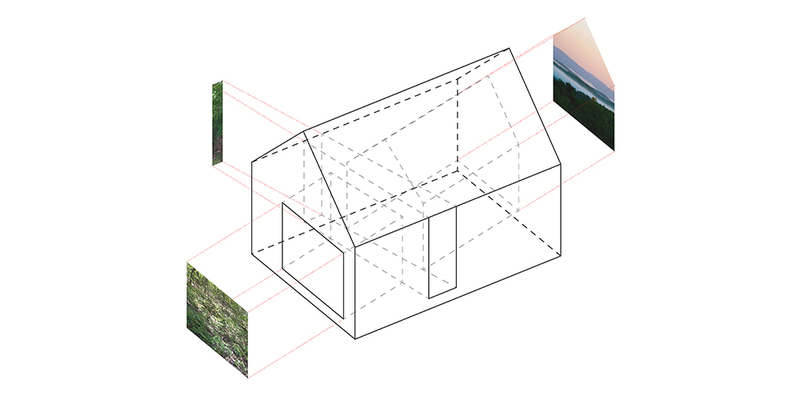 Primary spaces are carved from the monolith and are homogenous in their materiality. 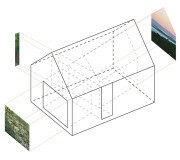 Each is carefully oriented toward a particular natural vista and therefore skewed relative to the exterior. 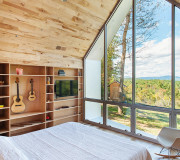 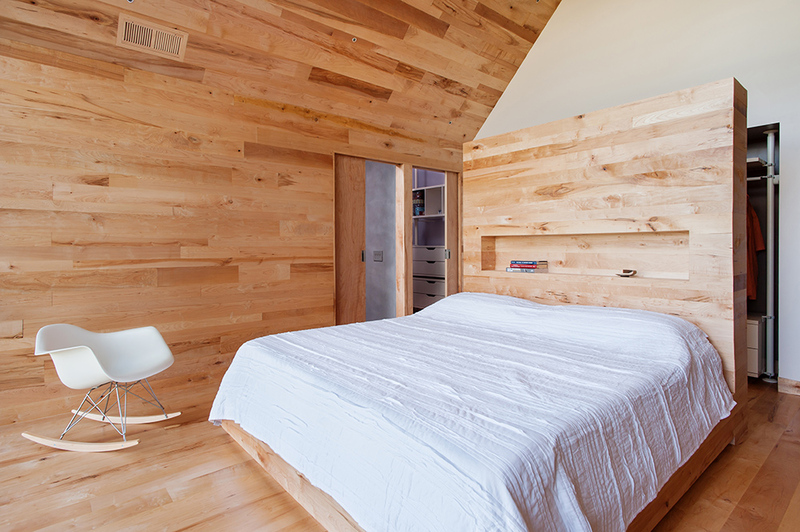 A maple bedroom is carved toward the northwest at the full height of the gable, delivering the longest sunset view of the distant mountain horizon. 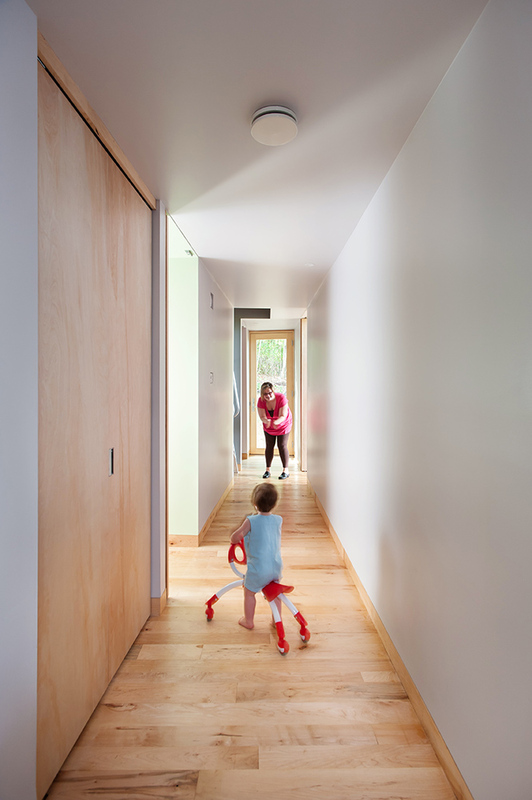 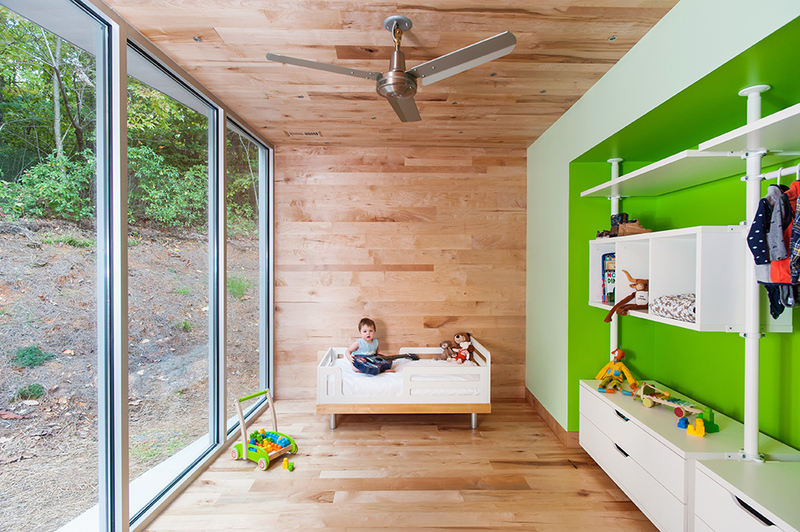 A child’s room is carved toward the southeast, filling the space with the rich foliage of the adjacent deciduous forest and delivering the day with the horizontal rays of the rising sun. 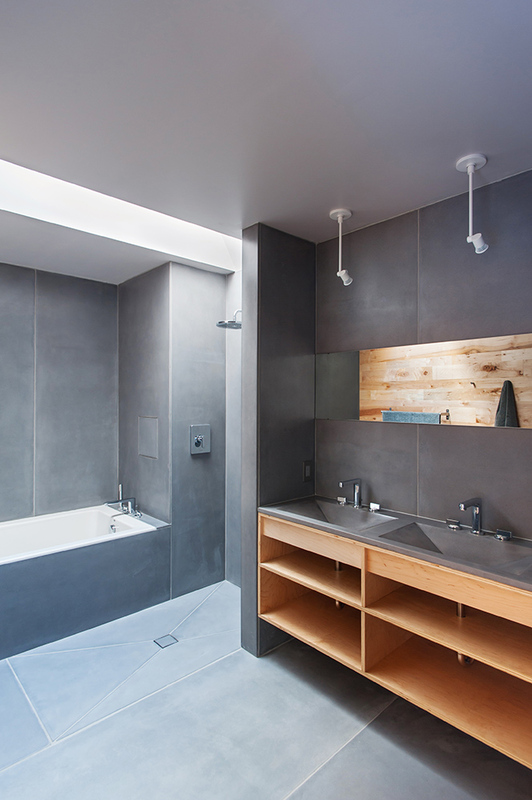 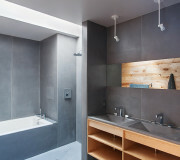 A concrete bathroom opens only to the eastern sky, offering morning showers bathed in an ether of steam and light. 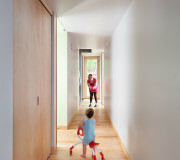 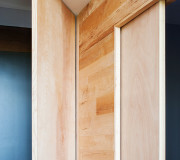 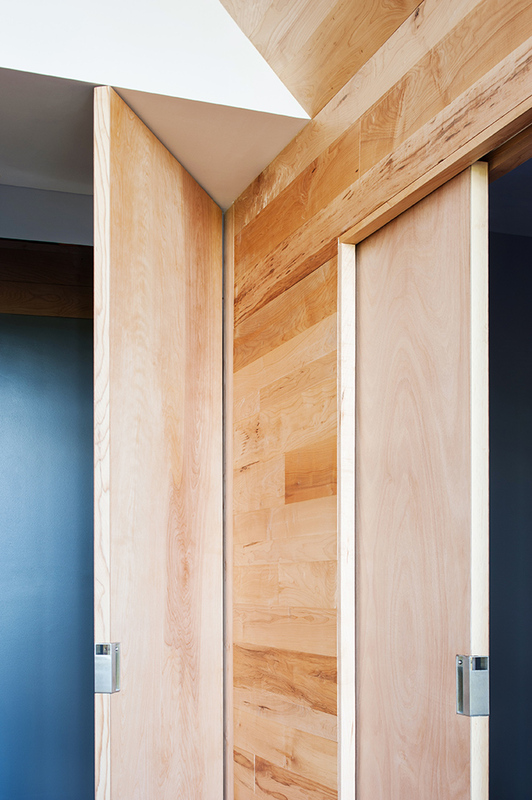 A wedged corridor slices across the maple rooms, linking to the trail head and bridging to the existing dwelling. 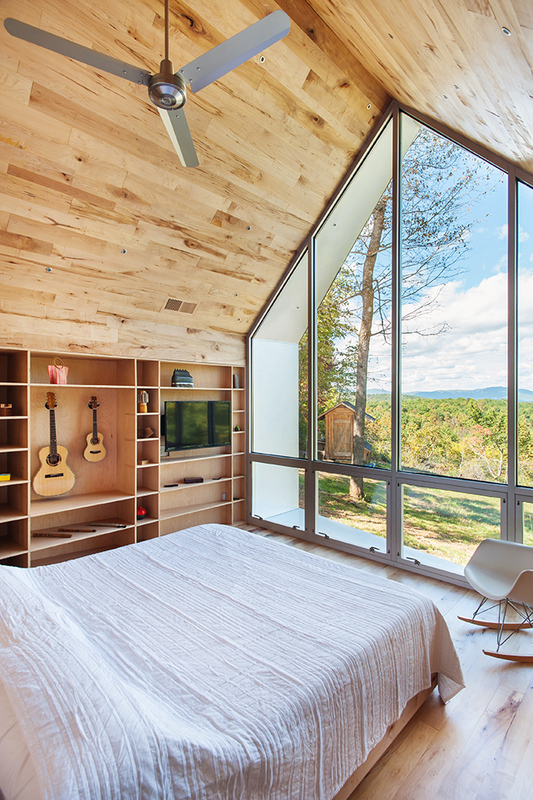 In the Appalachian traditions of elegance-in-economy and artisan craft, the cabin is constructed with ordinary materials hand-fashioned with extraordinary attention to detail. 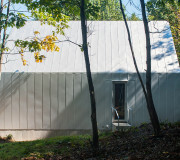 The building is at once permanent and light on the earth.